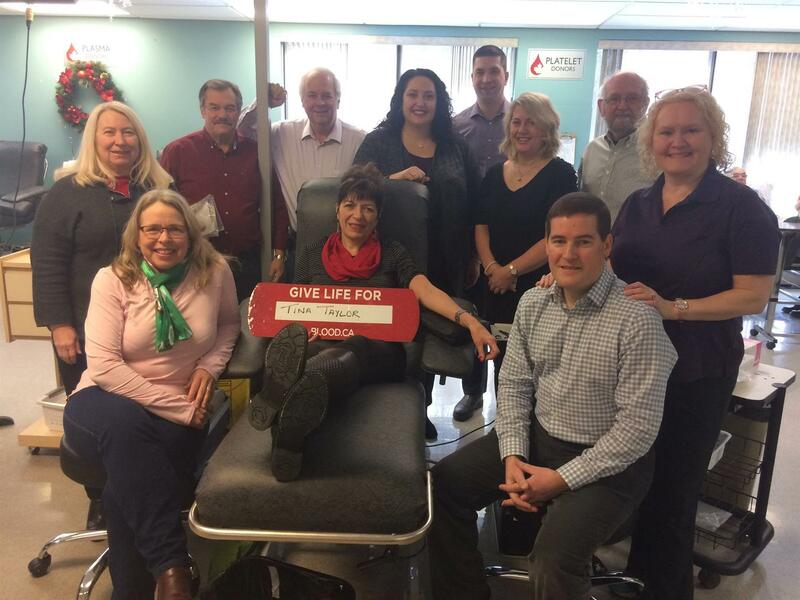 On December 22 a group of Rotarians from our club blitzed Canadian Blood Services to donate blood in support of Northwest Rotarian Tina Taylor. Tina is waging a war against cancer and, after seeing first hand the impact that blood transfusions have for those who need them, she asked that Club members get out and donate. There are regular donors and first time donors among this group. There have also been others who donated earlier that day and since. This time it was because of Tina - hopefully anyone who is physically able to donate will consider becoming a regular donor - as Canadian Blood Services says "it's in you to give". When donating you can name a person you're supporting and if you're a Northwest Rotarian you should mention that, because Blood Services now tracks donations from our club members. Give the Gift of Life - it will make you feel great and it's a great thing to do!